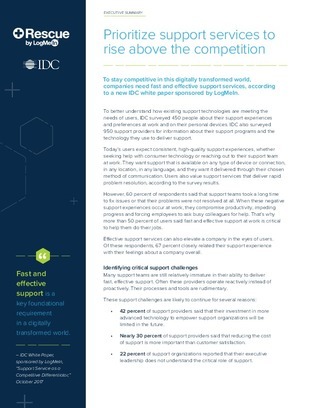 60% of users say that support teams provide unsatisfactory service, according to an IDC report. Many support teams are reactive rather than proactive, with nearly 30% of support providers valuing cost over customer satisfaction, per the report. Explore 3 challenges of delivering excellent customer support, and gain ideas on how you can prioritize support services to rise above the competition.